North American Subspecies Map. See also: world species map. Red wolves inhabit much of the southern United States, encompassing most of Florida west to Texas, and as far northwards as Southern Carolina. Red Wolves are typically brown, cinnamon, or reddish in coloration; predominantly gray animals are rare in this subspecies. Though the majority of its coat is rusty red in coloration, it may have black or darkened markings along its shoulders and back. The underside is typically paler than the rest of the body, ranging from buff-colored to white. It has larger ears and is typically much smaller than the Gray Wolf, although still larger than the coyote. The ruff (fur around its neck and shoulders) is less pronounced than that of the Gray Wolf, though its facial structure seems almost somewhere between wolf and coyote. There are two extinct subspecies of the Red Wolf, the Florida Red Wolf (canis rufus floridanus) and the Mississippi Valley Red Wolf (canis rufus gregoryi). Red Wolves are typical in wolf reproduction -- females tend to produce one litter per year, with an average of one to ten puppies per litter, depending on food resources and other external factors. Adolescents remain with the pack until roughly two years of age, when they disperse to form or find their own packs. Red wolves typically do not pursue prey larger than the white tailed deer; they seem to prefer mid-to-small rodents and other mammal creatures to large ungulates. They are resourceful hunters and will scavenge if necessary; their dietary behavior rather resembles the typical Coyote rather than a Gray Wolf. 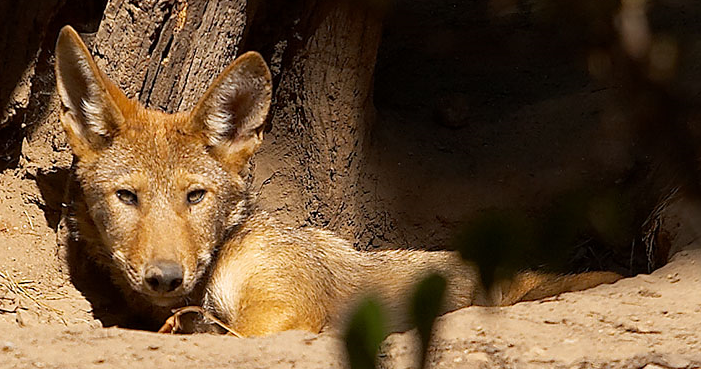 Even before the extinction of humanity, there was serious debate as to whether the red wolf was anything more than a coyote hybrid; some people claimed it as a hybrid to less its chances for reintroduction, while proponents of the program denied such claims. While the origins of the red wolf prior to the extinction of humanity are a mystery and remain so, their history very close to the destruction of humans and directly afterward is easily traced. 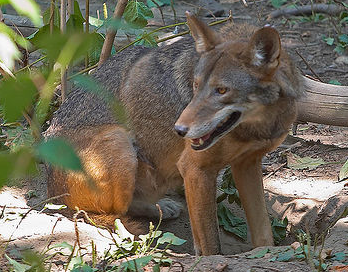 In 1980, the Red Wolf was technically extinct in the wild. All living specimens available had been captured and inducted into a reintroduction program; it took seven years for this program to begin, after rounds of genetic testing to ascertain the purity of the animals in question. 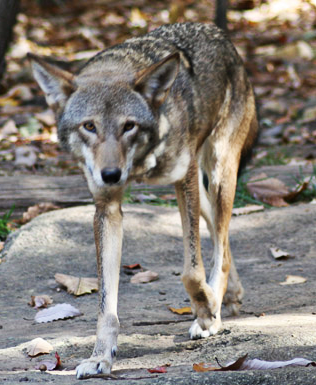 It was only in 1987 that humans reintroduced four pairs of red wolves into the wild -- they were able to release only a few more prior to their demise, and so the total red wolf population around the time of humanity was at a desperate position. It is highly unlikely that Red Wolves as a "pure" species exist today; almost all red wolves found throughout the game are hybrids. 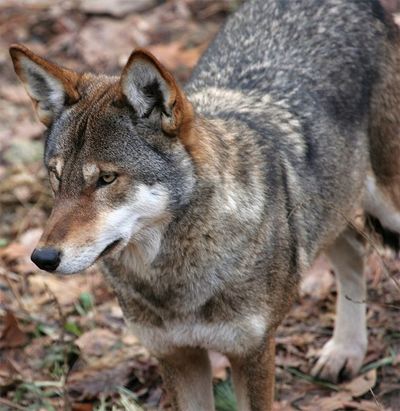 However, as there is potential that the Red Wolf subspecies was first defined as a wolf-coyote hybrid, the red wolf still technically does exist. 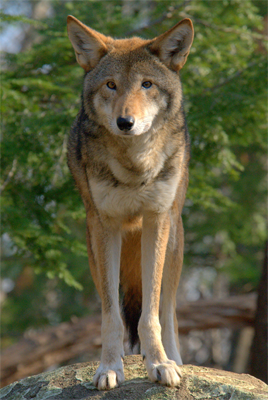 The Red Wolf's range overlaps a few species of coyote, wolves, and dogs -- though they compete with these other species, they have once again defined themselves as a unique subspecies. 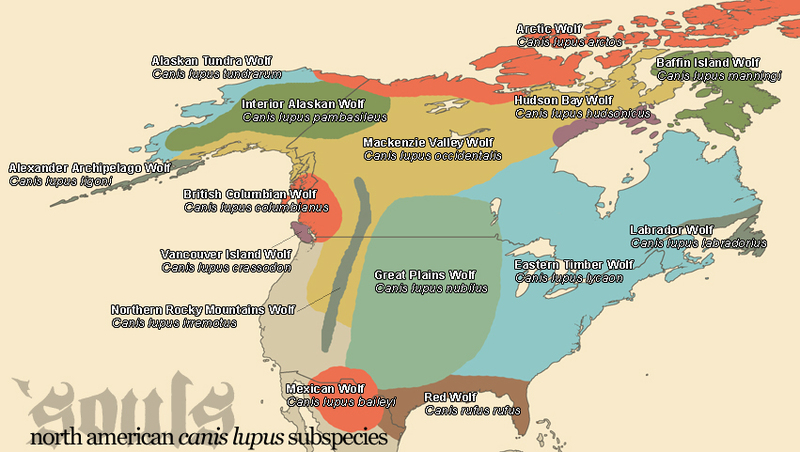 Red Wolves' level of Luperci infection and humanization can be likened to 'Souls -- while there are various canines adapting to humanized lifestyles, there are just as many who are feral. 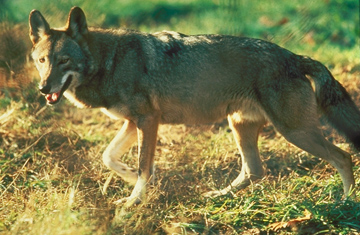 It is possible to find non-Luperci populations among Red Wolves.